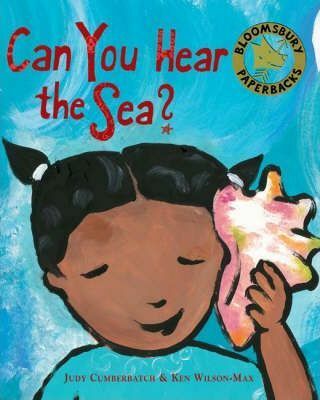 When Sarah's grandfather goes off for a few days he leaves her with a gift of a shell, which he says she can hear the sea in. Every day he is away Sarah listens and listens, but all she hears are the regular sounds of her life with her grandmother in the small village in which they live. But when Grandfather returns he shows Sarah that listening is a special skill that involves imagination, and soon she is enjoying the sounds of the sea. A delightful tale of everyday life in a location that is perhaps not entirely familiar to all readers. Judy Cumberbatch lives in London. She was brought up in Ghana and after a recent visit to the country was inspired to write this lovely text. She is the author of one other book for children, Sandstorm, published by Cambridge University Press, and also works as a translator and researcher with particular reference to the Middle East. Ken Wilson-Max, who illustrated the text, also lives in London and he too was brought up in Africa - in his case Zimbabwe. Ken is the creator of many wonderful books for young readers.